With partypoker‘s Weekly Wager you won’t hate Mondays anymore! You will have a chance to win £/$/€5 free bet every week! Pocket a £/$/€5 free bet when you stake a minimum of £/$/€5 at least 5 times throughout the week. You can place your bets on any market of your choosing. If you do so, partypoker will reward your loyalty by directly crediting your account with the £/$/€5 free bet. To qualify your bets, you must wager them at the odds of 4/6 (1.67) or greater. Also, you must settle them within the weekly promotion period. The weekly promotion period runs from 00.01 Monday (CET) to 23.59 (CET) Sunday. You will get your prize on the following Monday! Register with us and take advantage of the incredible Weekly Wager promotion and don’t miss out on a bet you can’t lose! There is a great Americas Cardroom Welcome Package. All new players at the site who make their first deposit will take part in some great promotions. What does Americas Cardroom Welcome Package include? ACR jump-starts every player with an incredible 100% first deposit bonus up to $1,000! To take advantage of this great offer, all you need to do is make your first deposit and play. Clearing your bonus is easy. Your bonus will be released in increments of $1 per every 27.5 Award Points you generate through your play at real money tables. Once you´ve made your first deposit, free cash awaits you! Follow the steps below to redeem your free cash cards we´ve placed in your account. Make sure you have the latest Internet Explorer installed on your computer. Click here to check. Simply login each day between 00:00:00 ET and 23:59:59 ET for the first 20 days after you deposit to open up your card of the day (each card has a specific date). Click on one card daily with the correct corresponding date to redeem between $2 and $6 cash. If you forget to log in each day you’ll miss out on the free cash for that day. Cards will only be available for the first 20 days from the time you make your first deposit. If you redeem your cash card for all 20 consecutive days you will receive a total of $50. You will not receive freeroll tickets; you need to enter the password to the freeroll when you register for the tournament in order to play. Register with us to Americas Cardroom and grab all of these great promotions! Are you a football lover? If you are, we have some great news for you! Unibet is rewarding UEFA Champions League and Europa League bets placed between 11th – 21st February with entries into our European Football Jackpot prize draw, where a guaranteed £25,000 must be won. Some of the biggest clubs and best players are in action! You can bet on any of them to earn entries! There will be 10 lucky players each winning £2,500 in cash! And there will be a new jackpot ready every week of the competition. Only bets from Monday 11th February 00:00 to Thursday 21st February 23:59 will count towards the promotion this week. Unibet will announce the winners 15 minutes after the last game on 21st February. So, don’t waste any more time and place your bets! Promotion period: 11th – 21st February 2019. Join Unibet now and win some extra money! partypoker introduced a New Welcome Bonus – check it out! SPINS are fast and exciting poker games that feature three players and a multiplier. The multiplier awards random prizes of at least DOUBLE your buy-in. With SPINS $1M, the multiplier could be anything from 2 to 240.000. That means your players could win $1 MILLION from a $5 buy-in in minutes! New depositing players can now choose their own ticket offer and get their $5 buy-in they need to become a MILLIONAIRE in minutes! There are now 2 different welcome bonuses. Which one you will get depends on the amount you are willing to deposit. NOTE: All SPINS tickets will expire after 7 days from issue. Subsequently, unused tickets will be removed from the player’s account. Don’t waste any more time then and join partypoker now! From today, there is a new VIP program at partypoker – Diamond Club Elite. It is an extension of partypoker’s main VIP program, Diamond Club. Diamond Club Elite will be worth up to 60% cashback as well as some exclusive tournament packages. Any player who opts in and rakes over $200,000 over a 12 month period will qualify. Full Diamond Club Elite members will earn themselves an additional $16,000 VIP packages to the Caribbean Poker Party. They will also get an entry into November’s MILLIONS Online worth $10,300. In addition, members can benefit from an exclusive VIP service at partypoker LIVE events, as well as dedicated 24/7 support lines. partypoker will also reward players with $10,000 in cash upon reaching the 50% milestone ($100,000). And above that, they will get a $20,000 cash bonus once they reach the full $200,000 rake. 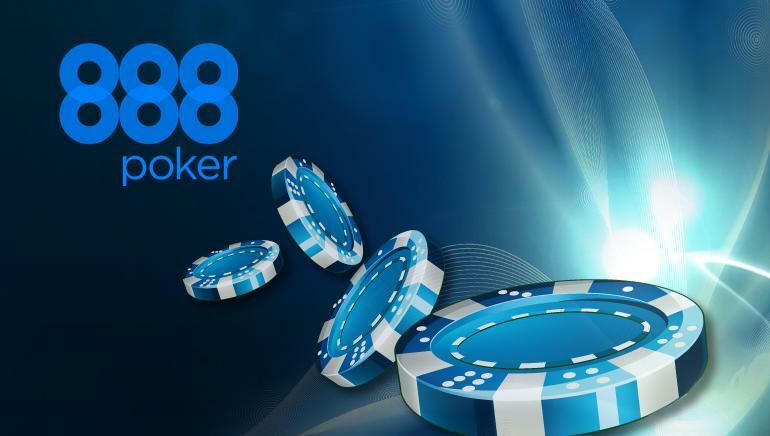 This is very similar in structure to SuperNova Elite from PokerStars.This may be a key move from partypoker in becoming the biggest poker network! Due to the popularity of Unibet’s weekly Double Trouble tournament, they’ve decided to add a new one – Super Double Trouble. To qualify: Lose €20 or more in cash games between 00:00:00 UTC on any Monday and 23:59:59 UTC the following Sunday. Payouts: Top 100 finishers receive €40 each. If you were unlucky enough to lose €200 or more in cash games during the previous week, you can take part in both tournaments. This way, you increase your chances to reduce the losses! So, join the cash games action now, without fear of losses! If you still don’t have an account on Unibet, register with us and grab their Welcome Package! Are you a Roulette fan? Check out for this great promotion! Make Tuesday evening your favorite evening! All you have to do is to make a deposit of £/€/$50 to the Roulette at Mansion Casino. By doing this, you will take part in Roulette Golden Hour – their great promotion! Earn 5 Golden Chips on every Tuesday simply by making a qualifying deposit of £/€/$50 during the promotional period. There are no wagering requirements on the winnings you make out of these Free Golden CHips. You get to keep whatever you win. How does Roulette Golden Hour work? Login to your Mansion Casino account every Tuesday. Deposit £/€/$50 to play any of the Roulette games between 20:00 and 23:59 (GMT). If you win anything from this deposited amount then fulfill the wagering requirements on eligible games. 5 Golden Chips of £/€/$1 each will be instantly credited to your account. Golden Chips are available only on Roulette Live, AOG Roulette Live, European Roulette RNG and Premium Blackjack. Golden Chips are available only for 7 days from the day of issue. You don’t have to do any wagering in order to release the money from this promotion. Join Mansion Casino today and start winning the Golden Chips. For more benefits that you can get, visit our site!